So he popped the question and you’ve said yes. And oh, how you love that shiny little piece of bling on your finger! But now the thought of planning the most important day of your life is freaking you out. And if you are a super busy bride with a full time 9-to-5 job, we know that the process of planning a wedding can be pretty overwhelming. There’s so much to do and so little time. You absolutely can’t compromise on your work life but the wedding prep can not wait either. However, if you start the preparation well in time you will not only take the stress out of the planning but the whole process will become fun for you too. If you are lucky enough to have a year or more to plan, break it down month by month. Here’s our guide to plan the perfect wedding while staying committed to your job. A year can feel like a lot of time to start the wedding preparation but it will go in the blink of an eye. So start right now if you want to keep your sanity intact as the D-day approaches. Because you will be balancing both work and wedding planning, you will have limited time for the prep. It is better to quickly set the bottom line. Start with setting a budget and make sure that you stick to it. Once the budget and date is set, find the perfect venue. Time Saving Tip: Remember, most of the wedding venues start taking bookings several months in advance. So book at least one year in advance because you might miss your dream destination if you are late even by a few days! With all the wedding planning and the office stress, having a mental/emotional breakdown is natural. Get your fitness game in place for the much needed boost to your emotional and physical health. Try working out in the morning because given your hectic routine if you do not do it right at the start of the day, it will never happen. Time Saving Tip: Keep a pair of workout clothes and shoes at the office for days when you hit the snooze button and fail to make it to the gym. Plan your meals a week in advance. This will help you keep track of how many calories you are consuming and also help you stick to healthy eating options. Pro Tip: Keep a stock of healthy snacks like nuts, fruits, granola bars and yogurt in handy at your workstation to avoid munching on junk. Now is the time to get in place some of the details of the wedding. You are only six months out, and there’s still a lot to be done. Inform your boss and co-workers so that they have an idea that you are juggling between work and the wedding. If you have a good rapport with your boss, you can even ask him/her to relieve you a couple of hours early. This will give you some extra time to finish your wedding related responsibilities. Time Saving Tip: Now is the time to smartly apply for leaves and keep your boss in the loop. Make a list of all weekends and holidays as soon as you finalis the date. Utilise these days for back-to-back store hopping and appointments. Put together your guest list and finalise a wedding invite that is both fun and creative. You don’t have to DIY it like most brides do it these days if you don’t want to lose your precious time and sanity. Use the time during your tea and lunch breaks to research ideas for your wedding. Pinterest and Instagram are flooding with really cool ideas from real life weddings. You can also use the commute time to work to make calls to your vendors to take follow ups and discuss the progress of your plans. Time Saving Tip: Take the help of your bridesmaids and coworkers to scope out online stores and zero in vendors for your functions. The wedding date is getting closer! This is the most exciting part of the whole wedding preparation process as you will be checking all the important tasks off the list now. Now is the time to send save the date emails to everyone you want to be a part of your big day. Informing your guests in advance will give them enough time to shop for your wedding, apply for leaves and get their tickets booked. Rather than experimenting, take recommendations from friends and colleagues. Once you have a good number of recommendations, stalk each of them on Insta to get an idea about their work and signature style. Before you take leaves to go on lehenga hunting, take some time and do an extensive research on the different styles, trends, fabric, fit and colours you prefer. 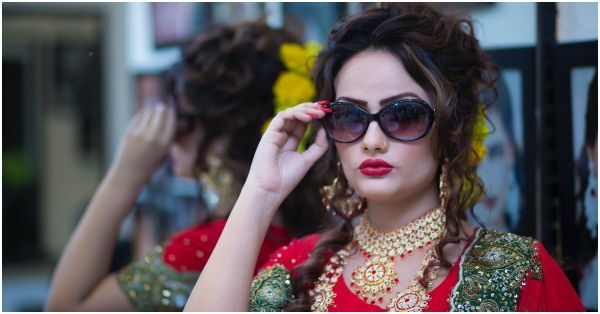 Otherwise you will hop from one store to another in the hope of finding the one lehenga meant just for you but only end up confused and lost. Again, go with word-of-the-mouth and shortlist photographers recommended by the people in your contact list who have already tried their services. Check their portfolios and availability before finalising one. When you have finalised one, sit with them and discuss all the details and moments that you would want to capture so that you don’t miss out on anything. An enviable wardrobe to start your married life can not built in a day. But you also don’t have to take a month off from work. Three months is the perfect time to curate a trousseau that is both trendy and practical. Start with planning and make a list of everything right from your bridal jewellery and footwear to all the outfits you will need when you become a missus. Pro Tip: Work on excel sheets or list based apps to make sure that not even the minutest thing slips from your mind. If you don’t have enough time to book salon sessions frequently, start a DIY routine at home. Start with a CTM routine twice a day- once before heading out to work and another after coming home from work. Also, exfoliate and apply a face pack twice a week. The basic beauty routine will take not more than 6-8 minutes but will protect your skin from al the dust and pollution you encounter every while running to the shopping mall and work. Time Saving Tip: Apply face pack when you are getting your breakfast or lunch ready to save some time. Welcome to crunch time! You are officially just a few weeks away from the biggest day of your life. Save this time for all the fun and easy-breezy tasks because well, most of the hard work is already done! Yup, watching bride entry videos and bridesmaids dance performance on the internet are interesting but use this time for some effective R&D instead. Screenshot decor and outfit ideas that you like and create a mood board. Pinterest is a great source to get inspiration for your mehendi, sangeet and other pre-wedding functions. Apart from the hairstyle and makeup look, another important choice you need to make is your bridal mehendi design. 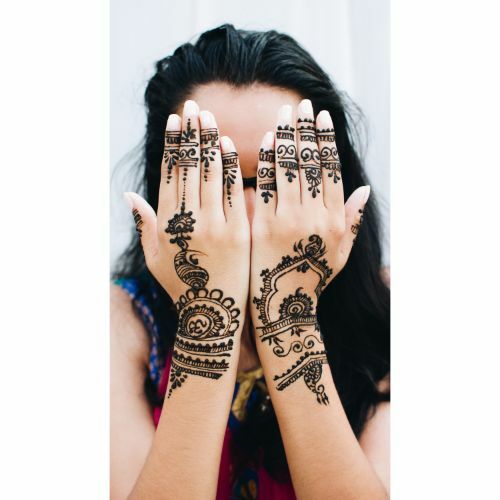 Once you have booked the mehendi artist, spend some time researching on the perfect design for your D-day. Pro Tip: If possible take a patch test now to ensure the henna doesn’t cause any reactions or allergies. Hire a choreographer and invest some time learning the dance moves. It’s your big day and all eyes will be on you. Two months is the perfect time to master the choreography and rock the dance floor. Pro Tip: Join a dance class with your friends and cousins to prep for the sangeet night. This is the best way to burn some calories before the D-day while saving your gym time! By this time all of the planning should be done. Don’t take up any new tasks because there’s no time for any last minute changes now. A lot of your wedding guests will be travelling to the venue for the wedding and you definitely can’t offer everyone to stay at your place. Look for hotels that are close to the wedding venue to make commute hassle free for them. Time Saving Tip: You may consider having some of your pre-wedding ceremonies like the mehendi or wedding reception (if not the shaadi) at the same hotel. This will save time on researching more venues and will be convenient for both you and the guests. Now is the time to use all those research that you did earlier. Bring as many ideas and inspiration as possible to your stylist so that they can better interpret the look you want on your big day. Pro Tip: Carry the blouse that you will be wearing on the D-day and get your makeup and hair done after wearing it. With less than seven days to your wedding, now is your me time. Stop stressing over things that need to be done and show yourself some TLC now. Scheduling the final fitting for your lehenga at least a week before the wedding day ensures that you have plenty of time to make any last minute tweaks or changes. Once you have checked the zips, embroidery and stitches, wear the lehenga and move about a little. You must feel absolutely comfortable in it as the next time you will be wearing the lehenga, it will be for the entire day. The busy work schedule can make skin care take the backseat in your checklist. But nothing can calm those pre-wedding jitters and work stress better than a relaxing spa. Book an indulgent bridal spa session at a salon and give your body the much needed pampering. Time Saving Tip: Look for a spa or salon near your home/office so that it is easy for you to drop by. It’s finally here! You will be a missus tomorrow and your life will change in so many ways. Relax and just enjoy the time up until you tie the knot. All the nervousness and excitement can lead to hours of tossing and turning in bed and hamper your beauty rest. You don’t want the lack of sleep to show on your skin. Do you? Take a proper eight-hours sleep before the wedding day to avoid those last minute zits on skin and bags under the eyes. Pro Tip: Start a sleep schedule at least a few weeks prior to the wedding. This means waking up and going to bed at the same time every day (even on weekends) so that your body is accustomed to your new sleep cycle. Relax. It's your big day and you have waited for it forever. Cut yourself some slack and don’t worry about all the things that didn’t go as per your master plan. Just remind yourself that everything will eventually fall into place. Take out some time and talk to your soon-to-be husband. When was the last time you guys talked about something other than the wedding? Thank him for being there even when you were at your worst bridezilla mode. And smile because finally dreams are going to come true. Dear working brides, not everyone has the luxury of time when it comes to the wedding preparations. For some of us it is a chat mangni pat byah affair. If you have very short courtship period, don’t freak out. Be the smart woman that you are and plan strategically. Kick off the wedding planning as soon as you exchange rings and prioritise these steps accordingly. All the very best ladies!